This week, Berowra Living History is sharing the beautiful photograph above, which comes from the collection of A. Cunningham. 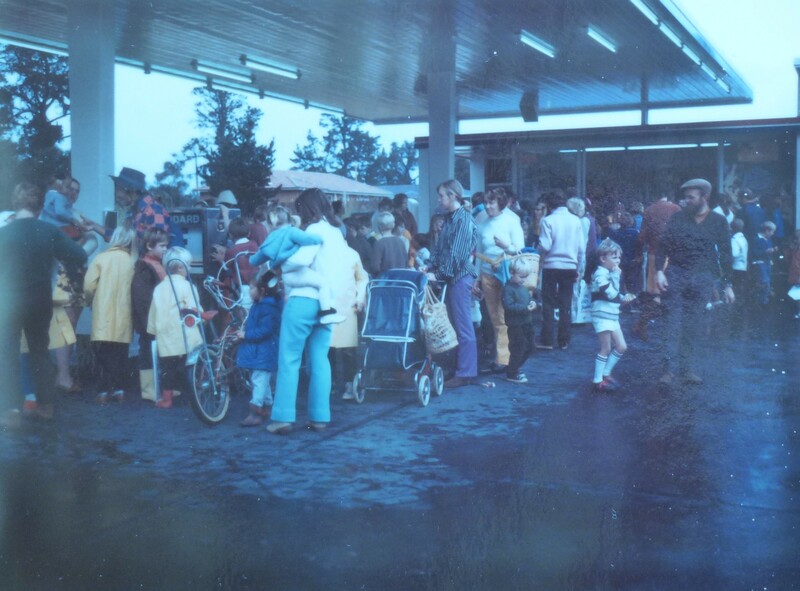 The image shows Cunningham’s Service Station, with quite a crowd gathered under the awning area. The Berowra community has always been a strong one, and in my experience, people are always happy to stop for a chat in the street. The question though is, what brought such a large group of the community together at the Service Station? It appears that perhaps it is raining, which brings up the question – is this simply a community sheltering from the inclement weather, or was this a more organised community event? Do you remember this occasion or perhaps know what brought the community together for this wonderful photograph?